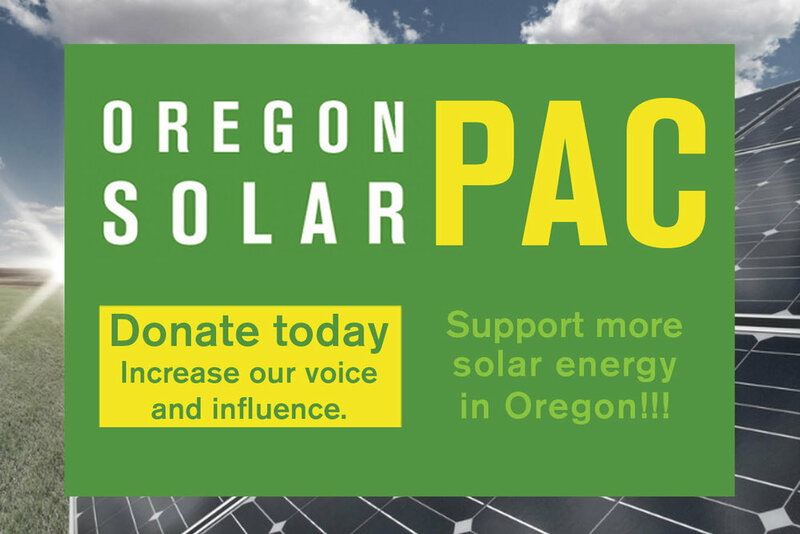 For the past few months, Environment Oregon has been running “Solar Cities” campaigns in five cities – Ashland, Corvallis, Eugene, Lake Oswego, and Milwaukie – and has been partnering with OSEIA members to make the campaigns successful. I want to share some highlights about the progress of the initiatives and the essential role that OSEIA members play in lending grassroots pressure to these efforts. The goals of the city campaigns are twofold – First, to make cities solar leaders. This happens when cities set solar installation targets and provide educational opportunities and city-brokered discounts to residents. Second, to build up the political support needed to pass strong statewide clean energy policies. As individuals who work in the solar industry, your voice is incredibly important in convincing decision makers that prioritizing clean energy solutions is good for the local economy. This can come in the form of phone calls or emails to decision-makers, direct lobbying on the topic, or writing letters to the editor and Op-eds in local news outlets. -In Ashland, we worked with True South Solar to hold an educational Solar Power Happy Hour at Standing Stone Brewery in November – the event had great turn out, including a city councilor and State Representative Peter Buckley. Following up on this, in January we co-hosted a solar workshop with the City of Ashland. Residents came to the City-sponsored event to learn about local incentives, the process of “going solar,” and were able to connect with installers from True South Solar, Alternative Energy Systems, and Oregon SolarWorks. The City of Ashland is currently considering adding a solar installation target to their Climate Action Plan. -In Milwaukie, we’ve worked with Elemental Energy and Milwaukie Mayor (and solar advocate) Mark Gamba and, since the start of this campaign, the City is voting on both launching a Solarize program and establishing a 5-yr solar installation goal. The proposal is on the City Council agenda for discussion on Feb. 18th, and is scheduled for a vote on March 1st. We will need any and all solar advocates to come out to the council vote on March 1st and testify strongly in support. Additionally, we were joined at the State Capitol in January by the Mayor and Elemental Energy employees, who lobbied alongside EO staff in support of statewide solar initiatives. -In Corvallis, we held an educational Solar Powered Happy Hour at Sky High Brewing that was attended by 52 people, including Mayor Traber and two city councilors. James Reismiller, owner of Abundant Solar, and Julie Williams, founder of Seeds for the Sol, spoke about their work and the way the community can get plugged in. Since then, the 5-yr solar installation goal was adopted as a top priority of the Corvallis Sustainability Coalition and the Corvallis Environmental Center, who we are working with closely to get the initiative moving forward. You can see photos from all of the “Solar Cities” events at our facebook page and read our Solar Cities factsheet here on our website.